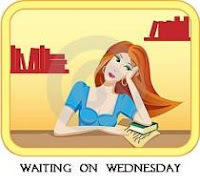 Waiting on Wednesday is a weekly event hosted by Breaking the Spine, that spotlights upcoming releases that we're eagerly anticipating. Expected publication: May 7th 2013. Norse mythology <3 sounds like a good book! I hadn't heard of this one, so thanks for sharing. It looks incredible! Great pick. It sounds wonderful; is not it? :) I can't wait for it.